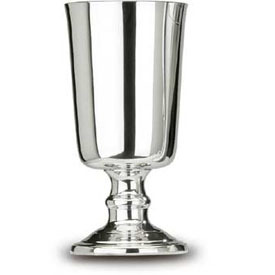 This beautiful pewter plain goblet has a satin finish. The plain goblet is safe for all cold beverages and has a 9 ounce capacity. Made of the finest English pewter in the United Kingdom.